It’s Friday morning, and an auditorium full of Woodrow Wilson High School students is belting out “Happy Birthday to You” to celebrate the school’s 90th year. Principal Michael Moran has just listed off numerous accomplishments—a perfect seven out of seven academic distinctions, an undefeated football team, an acclaimed International Baccalaureate program, for starters—to students as part of an all-class pep rally to celebrate the school’s birthday. “This school has history, this school has an outstanding reputation, and I know each and every one of you will make Woodrow proud this year,” Moran tells students. For students such as senior Noelle Martinez, Woodrow has a perfect blend of rigorous academics and extracurricular activities. Back behind the school, construction crews are working on building a three-story addition, new competition gym and locker room facilities. 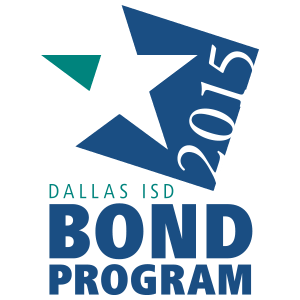 The improvements funded by the $1.6 billion bond program will open by August 2019.